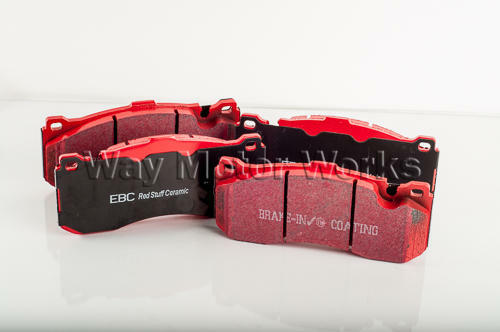 EBC Redstuff Brake pads for GP2 brake kit. If you got a GP 2 like WMW did you know the stock MINI pads on the GP2 6 piston brake kit create all kinds of dust. WMW found these EBC redstuff pads for the GP2 brakes to lower the dust and still perform with great bite and handle some heat from running them hard. sold as front set, rear set or both front and rear.